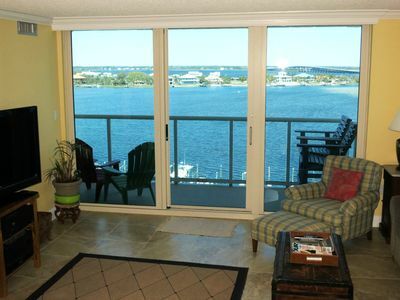 Sabine Yacht & Racquet Club 2/2 Condo- beautiful Gulf views! 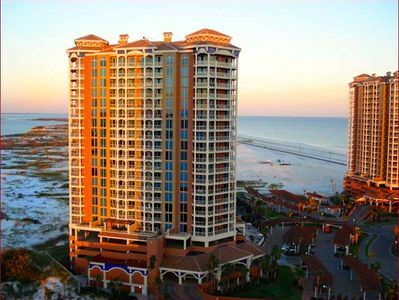 Sabine Yacht & Racquet Club is a twelve-story luxury high-rise condominium facing the Gulf of Mexico in the front and Little Sabine Bay in the back, with beach access across the street. 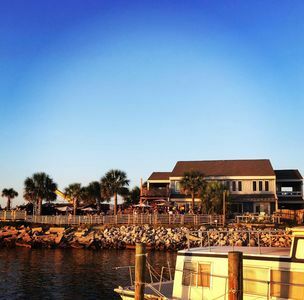 For added entertainment, Sabine guests will enjoy Jimmy Buffet's Margaritaville Hotel/Restaurant/Bars located across the street. 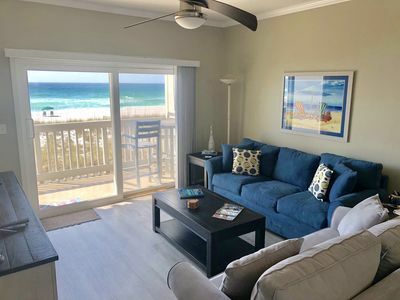 Those who prefer even more action can enjoy a scenic 5-minute walk to the heart of beach activities that include a leisurely stroll on the fishing pier, shopping, restaurants, and bars with live music and dancing. If riding sounds more appealing, a trolley stops at the front entrance of Sabine to transport passengers up and down the beach at no charge. 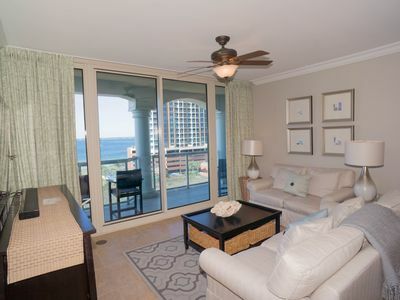 The master suite has a king-size bed, private bath and overlooks the bay. 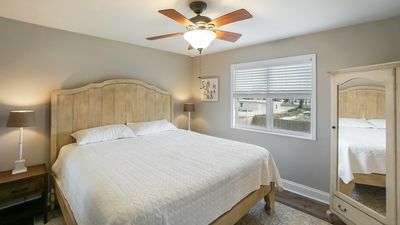 The second bedroom has a full size bed a single bunk bed and also overlooks the bay.This room has a closet to hang clothing and also a large dresser. 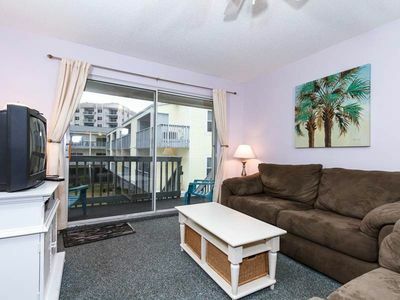 Please note that there are NO blinds or curtains on the glass sliding doors/windows.There are 2 televisions , a DVD player and internet access. 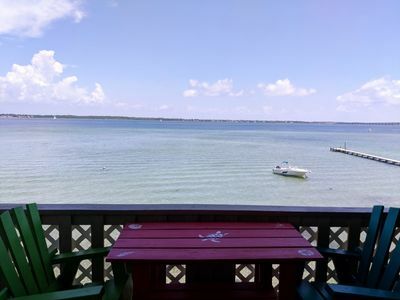 Internet inside condo and available in the clubhouse as well.There is a large swimming pool on the north side of the building, overlooking the boat dock and Little Sabine Bay. 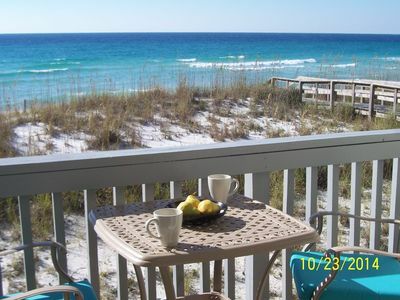 Guests can enjoy tennis courts, fitness center, sauna and a boat launch. A boat slip rental is available. 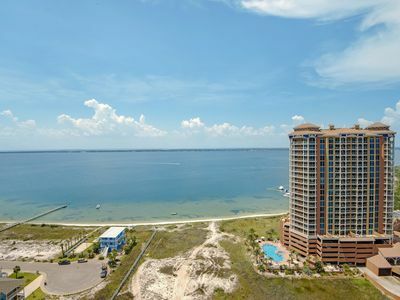 A bike and walking path runs in front of the building and the white sands of Pensacola Beach are directly across the street. 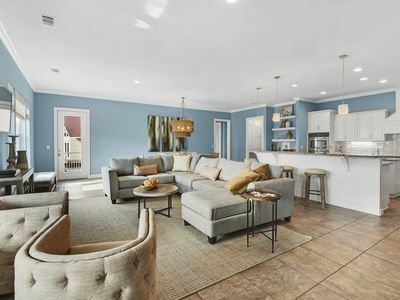 Historic Fort Pickens is only 2 miles away. We now require online booking only and a minimum of 4 night stay due to multiple inquiries and possible overbooking. The master bedroom closet is closed off, however there is a dresser in this room and there is a very large closet in the 2nd bedroom and 1 empty dresser for clothing. 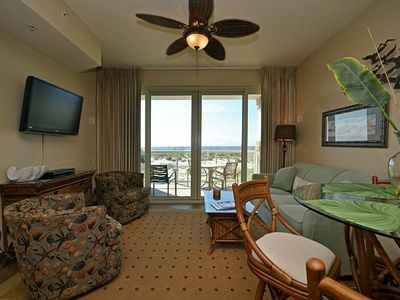 Our cancellation policy is a full refund 10 days prior to check- in minus any credit card, VRBO fees or taxes. 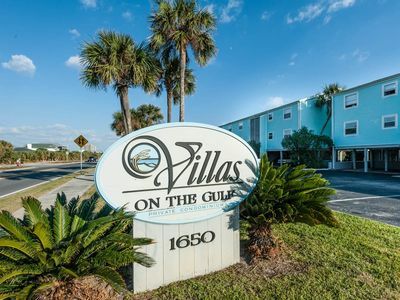 To ensure that we receive all emails, please only email us directly through VRBO. Just wanted to update that we have a new mattress in the master bedroom! 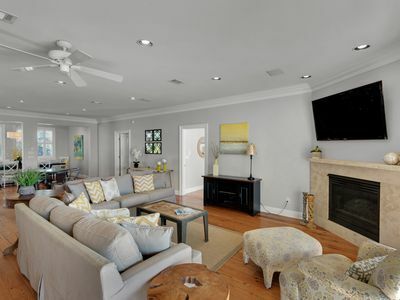 Santa Rosa Dunes 7724 - Act fast, for best spring availability. 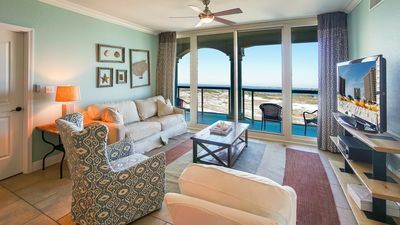 Pensacola Beach Secret Jewel - Your Next Vacation Rental Awaits!! 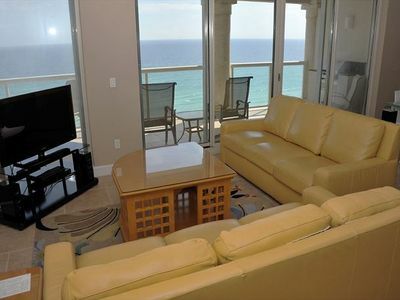 Great Amenities, Fantastic Views - Tower 5 Portofino - Spring is open! 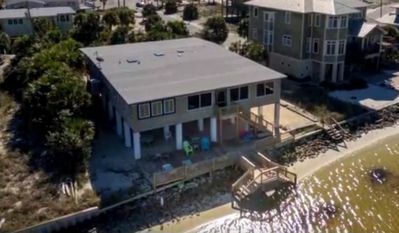 Sound Front, Pet Friendly Home Ready For Your Vacation! 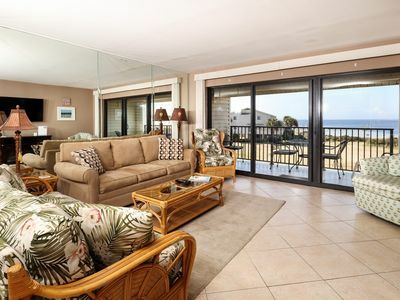 Beachfront Vacation Condo ~ Great Resort Amenities & Beautiful Views! 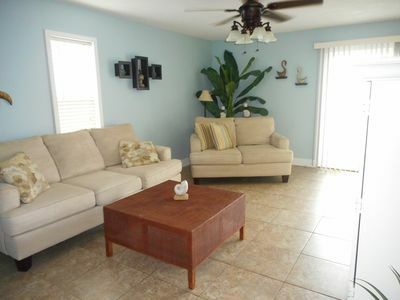 Luxury 3 bed/2bath Beach Home Just Steps to the Beach!!! 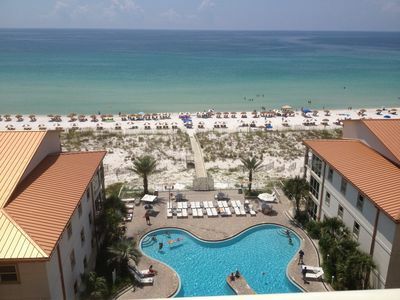 2B Tower 3 Elite Island View Beauty! 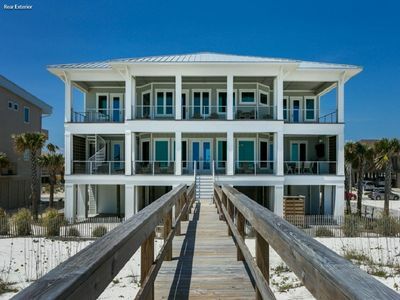 Brand New, Luxury Designer Gulf Front Home, Private Boardwalk, Slp 26, Weddings!